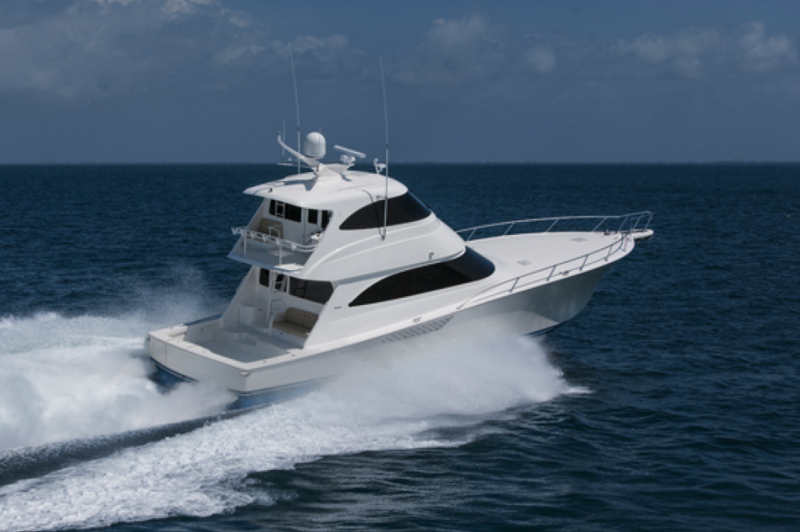 The Viking 66 Enclosed Bridge Convertible premiered to rave reviews. 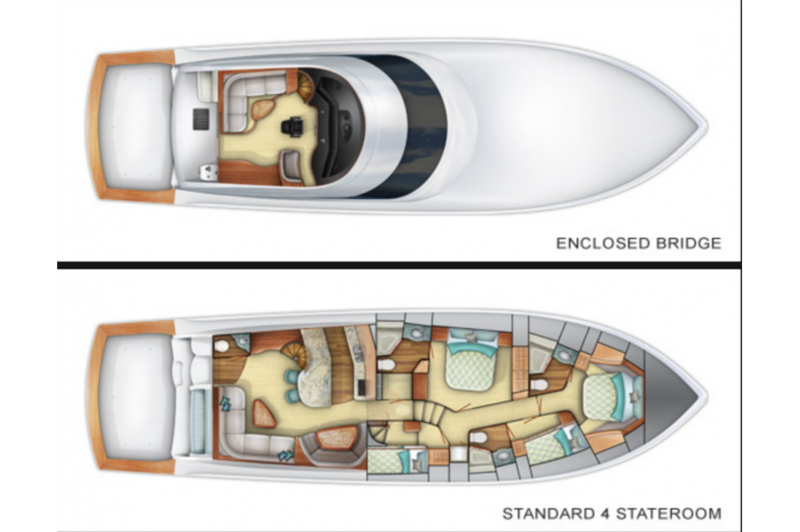 Like the Open Bridge version, the 66 EB has four-staterooms and four private heads in its standard accommodation plan. 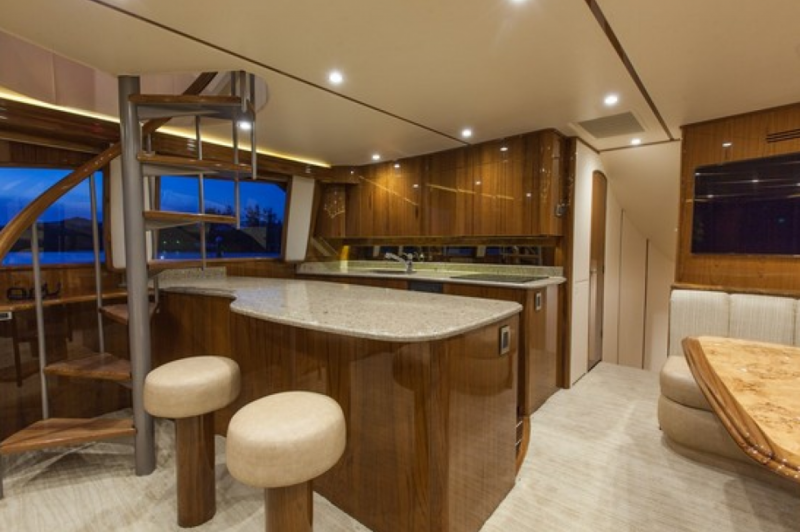 The island galley, dinette, and salon also are similar, with the significant addition of a spiral staircase that leads to the enclosed bridge. 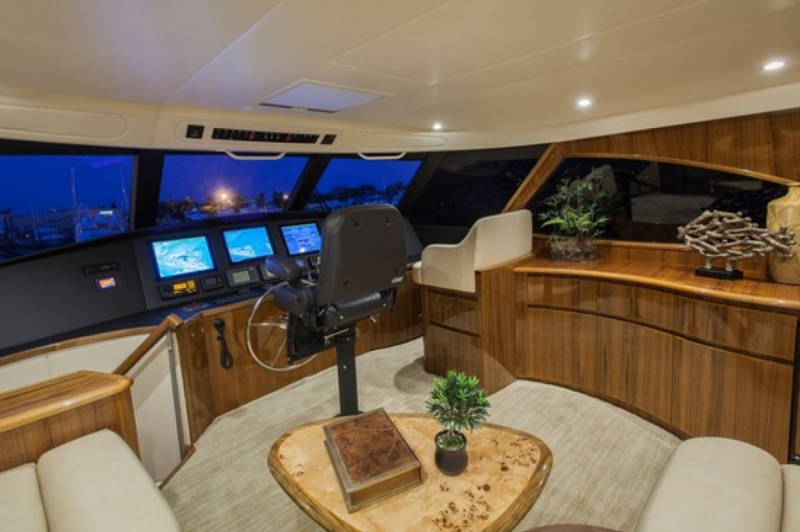 The climate-controlled enclosed bridge is inviting and spacious with the main helm forward on centerline for good visibility. 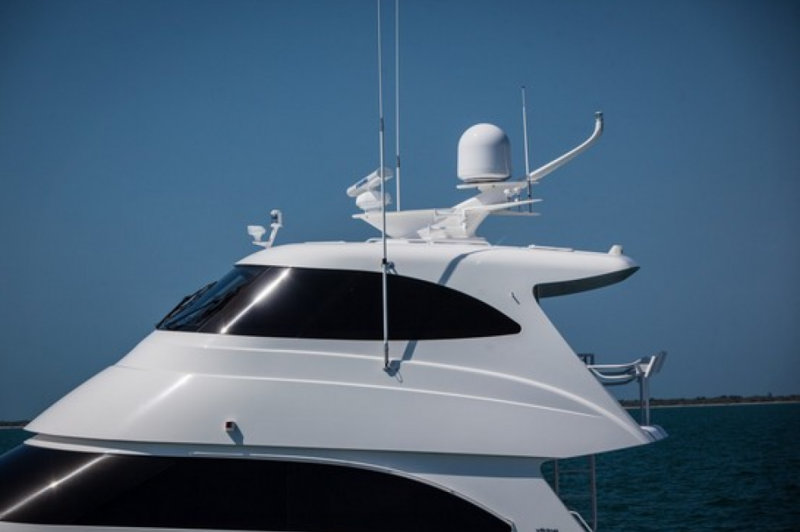 The raised ultra-leather dash handles a bank of navigation and communication electronics, and overhead, an accessory panel is easily read and reached. 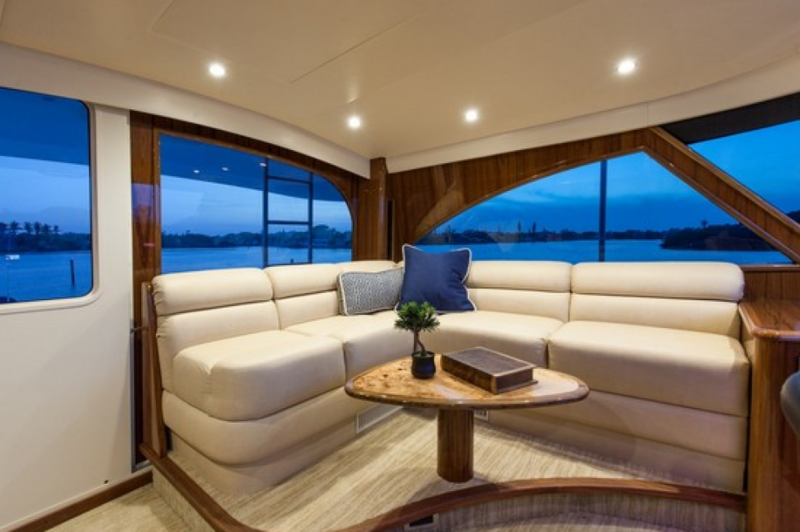 An adjustable Stidd helm seat provides plenty of comfort and support on long jaunts, and a large companion seat to starboard features drawer stowage and good visibility for crew and guests. 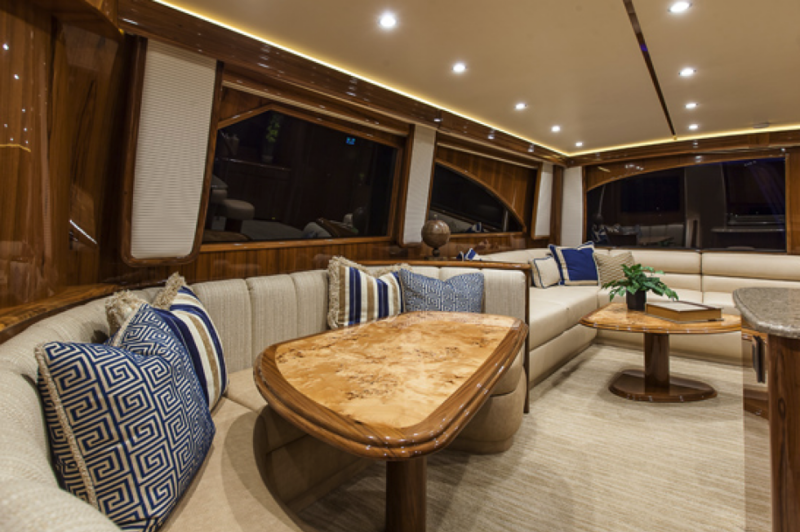 Abaft the companion seat, a row of teak joinery houses bottle and general stowage. 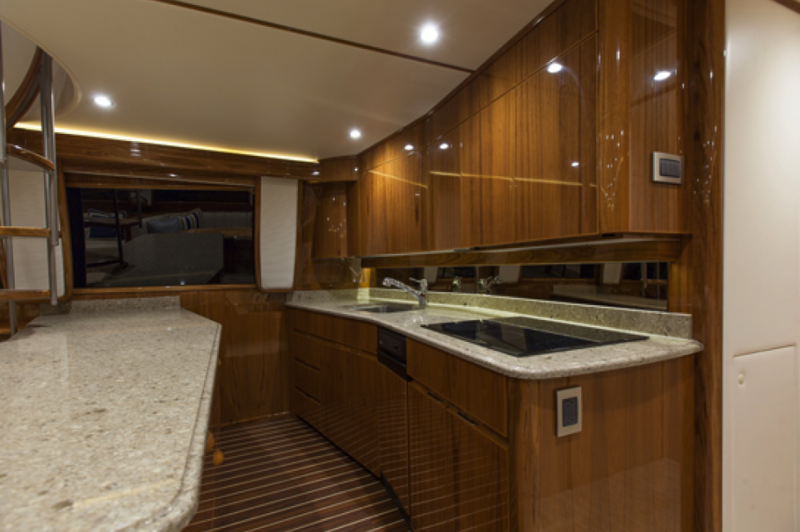 A flat screen television is mounted above the built-in refrigerator. 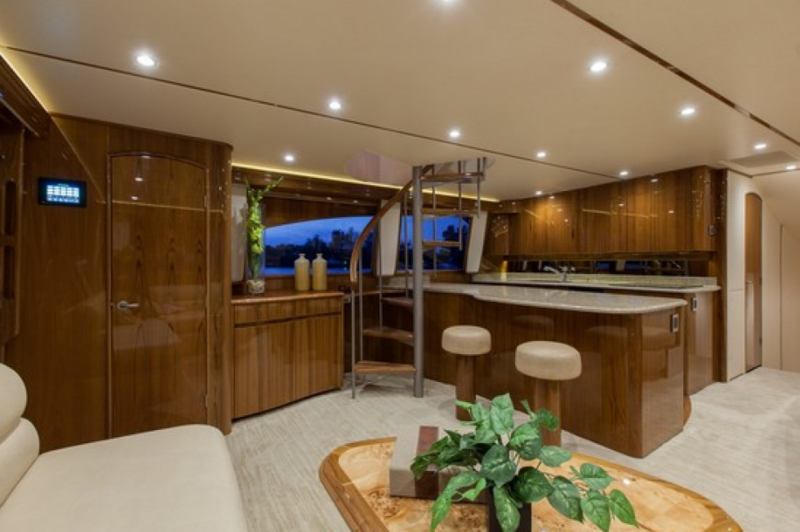 A raised lounge with a teak cocktail table on the port side creates the atmosphere of a second salon for added privacy and convenience. 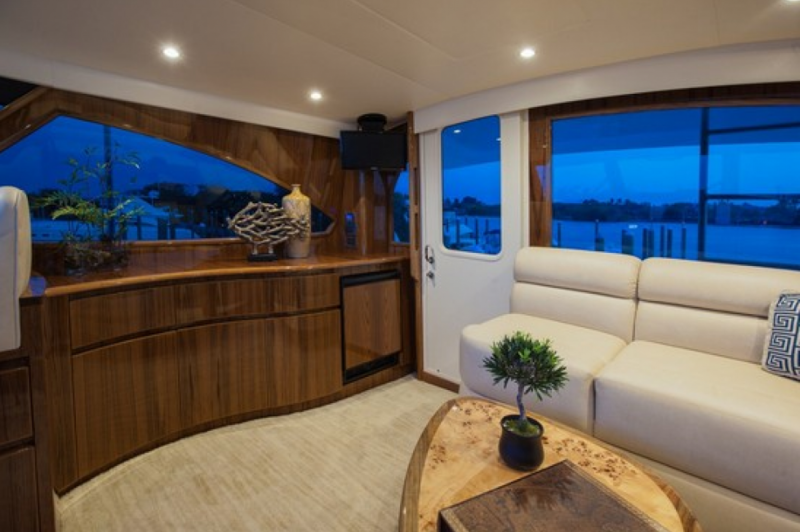 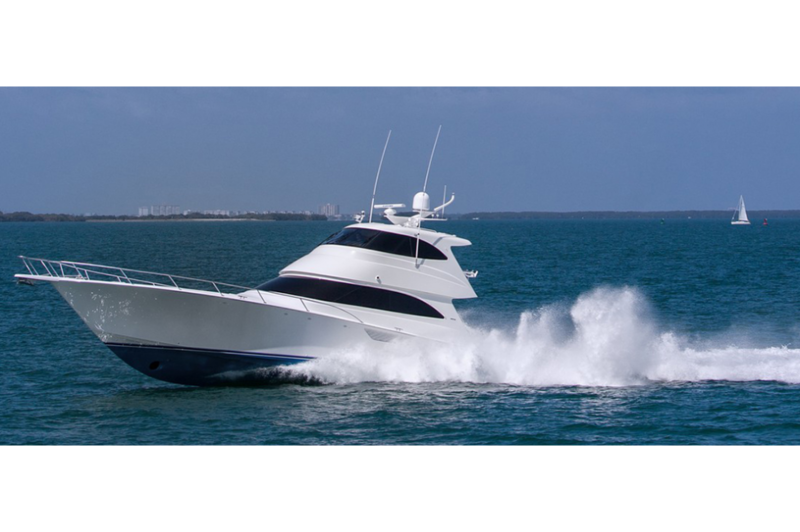 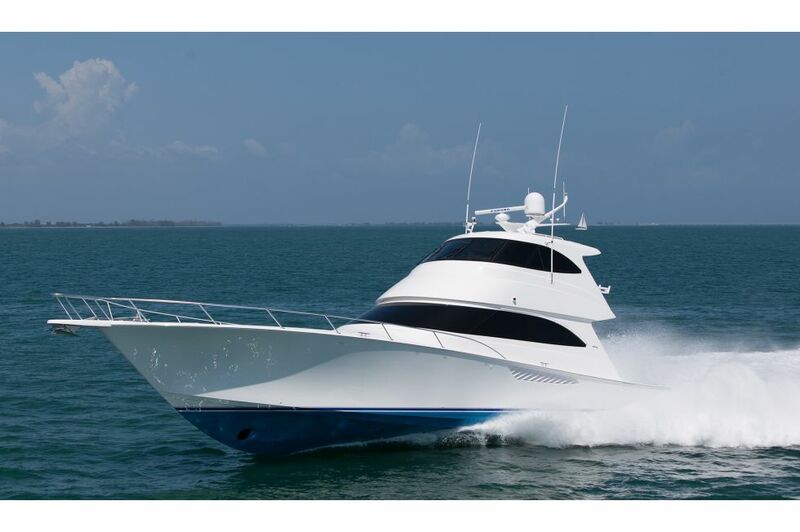 A weatherproof lockable door leads to the aft deck and the second helm station, a pod design that has single lever controls, a stainless-steel wheel and stop/start switches. 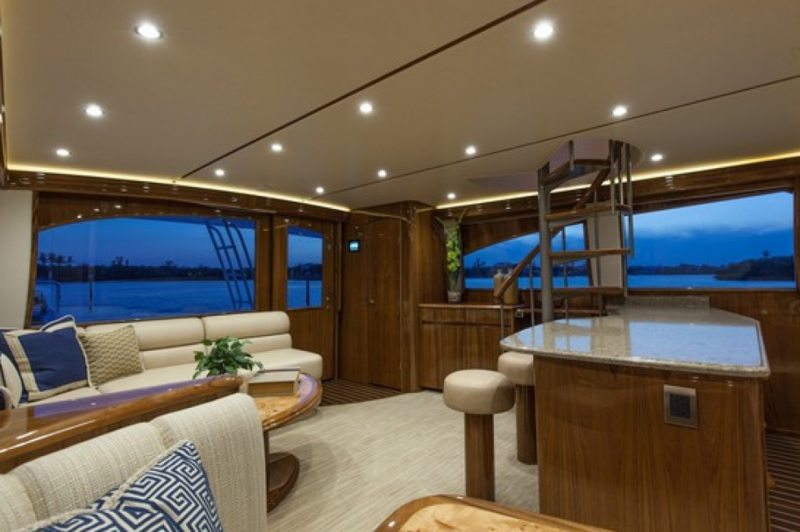 Safety railing on the aft deck, as well as the exterior flying bridge access ladder is powder-coated aluminum.